" POSSIBLE SCHOLARSHIP !!! " 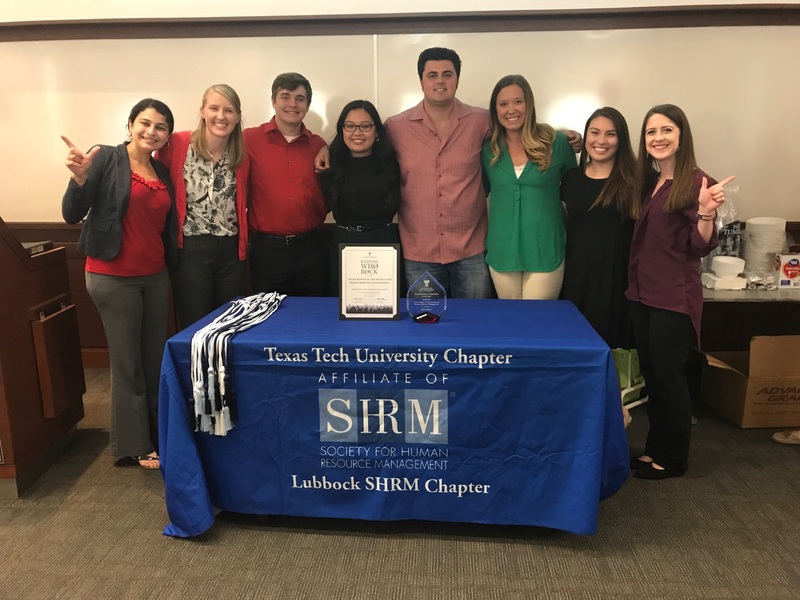 The Texas Tech SHRM Students participated in an Industry Tour that takes place every semester. This year, they went to Dallas, TX and toured Toyota's new national headquarters, Industry Homes, the Dallas Cowboys Stadium, and the University of Texas at Arlington's campus to learn about their Master's in Human Resource Management program. The Industry Tour is a great way for students to learn first hand how the size and industry of a business could affect their HR department. Jessica Layton - One of LSHRM's 2017 Student Scholarship recipients with Kristen Kincannon (R) - Education Chair and Whitney Kennedy (L) - President Elect. Kristen Phan - One of LSHRM's 2017 Student Scholarship recipients with Whitney Kennedy (R) - President Elect and Kristen Kincannon (L) - Education Chair.